The free ticket lottery for the 2018 NFL Draft taking place in Arlington from April 26 to April 28 is now open. Here’s how you can score a seat inside AT&T Stadium to watch the picks unfold as the draft boards come to life. 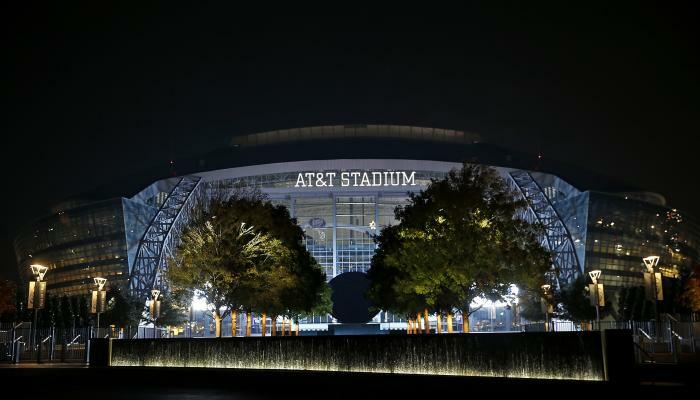 Want to be here in Arlington in-person when the NFL stars of tomorrow step into the spotlight at the 2018 NFL Draft? Here you can register for you and a guest to win free seated tickets in the NFL Draft Theater to watch the event live for one of the three days! This year will mark the first time that the event is hosted at an NFL stadium, creating opportunities to accommodate the most fans in history inside AT&T Stadium. Time’s a ticking – you have until March 14 (which is next Wednesday!!) to sign up for Fan Mobile Pass. Do not wait if you want to win a seated ticket. After March 14, you still have a chance to win standby tickets. See #3 for how-to. Ticket notification will be late march, complete with instructions for confirming attendance. Sure, you don’t have a ticket, but very outdoor plaza at AT&T Stadium will be utilized for the draft, creating an atmosphere that’s said to be “larger than life.” FREE, The NFL Draft Experience will take over these areas, creating the largest free festival every created by the NFL, with a size spanning 26 football fields complete with immersive experiences, virtual reality, player appearances and more! Sure, you didn’t get a ticketed seat BUT there’s still hope. Say you’re checking out the FREE NFL Draft Experience. Good news, if you have the Fan Mobile Pass app, you’re automatically entered for a chance to get standby theater tickets as seats come available. Make sure you check in on Thursday, April 26 for Round 1, Friday, April 27 for Rounds 2-3, and Saturday, April 28 for Rounds 4-7. That means you have three days to possibly win draft tickets! Last year, approximately 250,000 fans attended the draft in Philadelphia, this year, with your help, we’re hoping to get the most attendees ever! Want to volunteer for the draft? Click here for more information.